Challenges are always so difficult... Especially when you are aware of them. The best in you tries to give the effort that it actually needs when often that not, the challenge is as simple as black and white. Well, this challenge become a big blotch of grey for me one night. Unfortunately, this challenge was quite tough at the middle of my 3rd and 7th day. My friends (since forever) decided that the previous Saturday was meant to reminisce old times and be 19 again. That means clubbing, super late night out and booze... lots and lots and lots of booze. I can't say that i regret it though.. I'm 26 now and the last time I went clubbing.. well not really, was at a Preview event. To which Jheng and I went home early and barely danced. I was really looking forward to that day. I really really was. And despite the challenge, the thought of being with my friends outweighed the benefits of having a good night sleep and booze-free system. I danced like there's no tomorrow and I could no longer feel my feet. It was sheer bliss. It was indeed a great Saturday night. I came in about 6 in the morning, my lips and face dried up from the cosmopolitans and tequila shots I was taking. I could feel my throat all parched from lack of fluids. I immediately drank tons of water and ate my breakfast. I took a shower to rid the smell of smoke and booze from my hair and body. 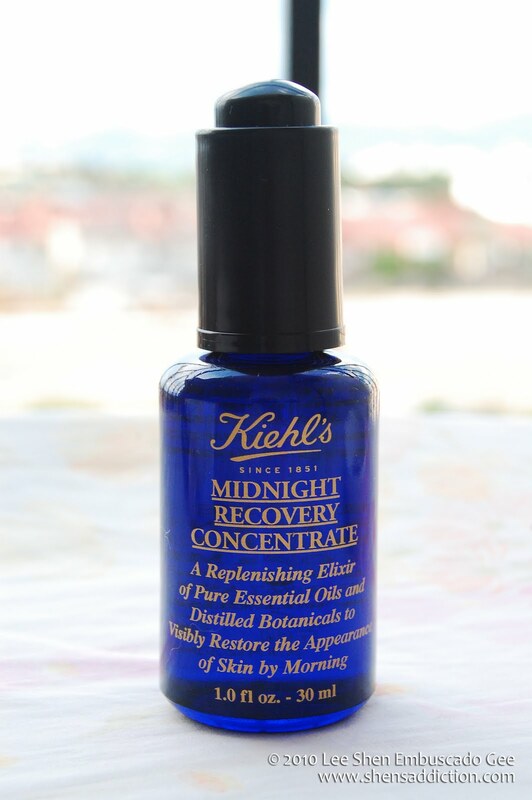 Just right before I hit the sack, I applied Kiehl's Midnight Recovery Concentrate. 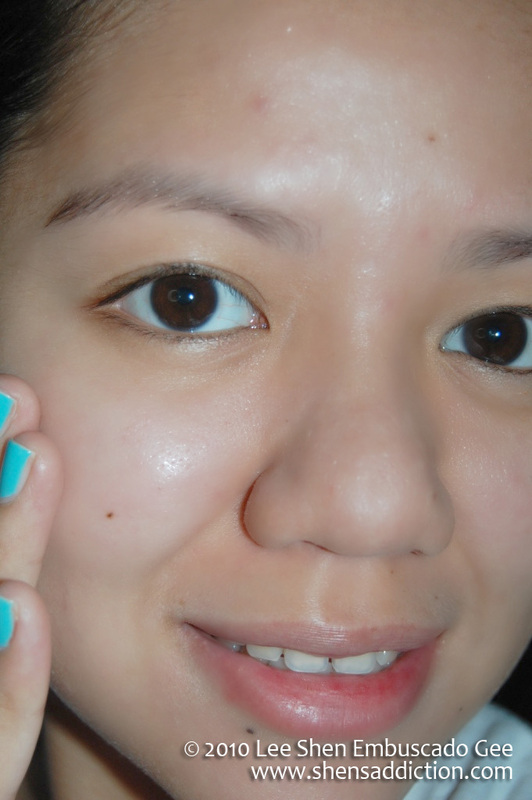 Despite the change of time applying it, I felt that I need to rejuvenate my skin from all the partying I did. The result? A much much much much drier skin. I barely felt the effects of alcohol and late night when I woke up come 2 in the afternoon. My face looked like the same but a lot softer. I guess, it wasn't just the Kiehl's Midnight Recovery Concentrate that helped my skin. It was the last few days (and weeks) that I've been caring for it that actually made my skin insusceptible to breakouts and other signs of skin reactions that is usually caused by lack of sleep and proper hydration. That one night, though a glitch in this challenge, has not given me any problems at all. I learned that we are have that one night wherein we could let go and do as we please much like when we are young as long as we take care of our skin. Skin changes, though it may be associated with our age, may actually be lessened with proper care and the right products. So I wasn't a lost cause, after all. If you're wondering I use the Kiehl's Midnight Recovery Concentrate, here's a little pic by pic application. On your fingers, click 2 to 3 drops of the Midnight Recovery Concentrate and rub it between your fingers. Allow is to warm up with your natural heat. In patting motion, apply the concentrate to your face starting from your forehead, cheeks, nose and chin and all over areas not covered. You may also apply it on your neck. Gentle patting shall transfer the product on to your skin. As much as possible, try not to swipe it to avoid premature wrinkles. You'll feel the product sitting on top of your skin. For women with oily skin, you may feel slight discomfort because we hate feeling oily. But do wait for a few minutes for it to seep in. There you have it! Thanks for reading and watch out for the contest that will give you a chance to win your very own Midnight Recovery Concentrate from Kiehl's! your face looks nice..what's your beauty regimen? ?